When the descriptions of this book hit newspapers and magazines almost a year ago, they got my attention. 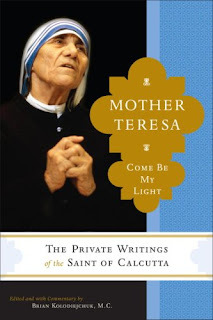 This book was touted as a glimpse, in her own writing, of Mother Teresa's crisis of faith. Since I am in the midst of one of those myself, I decided to give it a read. If Mother Teresa could have a crisis of faith and still do the work she did, surely there must be some insight for me. I can't say that the book helped me. Her faith was so steeped in Catholicism that I found I couldn't relate. However, I was very impressed with her unwavering devotion to Jesus and her ability to maintain and simple life and faith despite her worldwide fame. It's difficult to boil her crisis of faith down to a few words but my impression was that she wanted to hear from Jesus and didn't. She felt that Jesus clearly called her to the work she fulfilled her entire life but she didn't hear from him again after that. It caused her great internal pain. At one point, a priest who had been praying for her felt he clearly heard Jesus give him a message for Mother Teresa. When he related the message to her, she was disappointed that there wasn't more to it. She was desperate to hear from Jesus and his silence hurt her deeply. I don't know how to relate what I am going through to Mother Teresa. In my humble opinion, her faith remained ever strong throughout the process. Her doubts only came through the letters she shared with a select few. In the book, it was communicated more than once that based on her attitude and outward appearance, her faith never wavered. I think she remained strong because she had a simple faith, a childlike faith. She wasn't a theologian. She merely loved Jesus with every fiber of her being. I must say that there were times in the book when I was frustrated with Mother Teresa's simple faith. At times it seemed as if she never grew spiritually. She remained suspended in the faith that she developed early on and it never developed. It seemed to me that she was locked in a spiritual infancy. Is that a bad thing? I don't know. Look what she accomplished. My other frustration came at the beginning of her ministry. She was called and then had to endure years of red tape in the Catholic system before they gave her permission to go and do what she felt called to do. To her credit, she bugged the hell out of them to the point where one leader had to tell her to stop writing and be patient. Good for her. In closing, I'll just say that the book was worth reading despite the fact that it was a bit repetitive due to Mother Teresa's simple faith. 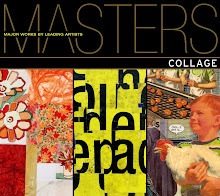 You may find yourself skimming a bit but there are a few nuggets of wisdom to be gleaned. In the end, this read didn't help me with my crisis of faith but I am happy to be more aquainted with Mother Teresa, her faith and her work.